I'm no avid soda drinker, but I can still remember buying RC Cola during my younger years. In fact, I used to buy RC Cola more than the leading soda beverage in the country. Well, maybe because of its very affordable price for students and people on a budget. To be honest, it's been a while since I last drank an RC cola. Well, I have been controlling myself in drinking soft drinks recently, and I think the only time I get to drink it is when we go to our province and stop by either a small sari-sari store or eatery. I would say RC Cola is famous in provinces. Anywhere you go, stores and carinderias along the side road use RC Cola signages carrying their store name. Did I mention how affordable RC Cola is? Their smallest 240ml bottle costs P5.00 only, while their Biggie 1.5L costs P33.00!! Quite a steal right? So what does RC Cola taste like? RC Cola has this crisp and sweeter cola taste as compared to other cola brands. It takes pride in having the right blend of ingredients suited for the Pinoy’s taste buds. Best to drink icy cold for a maximum RC Cola experience! 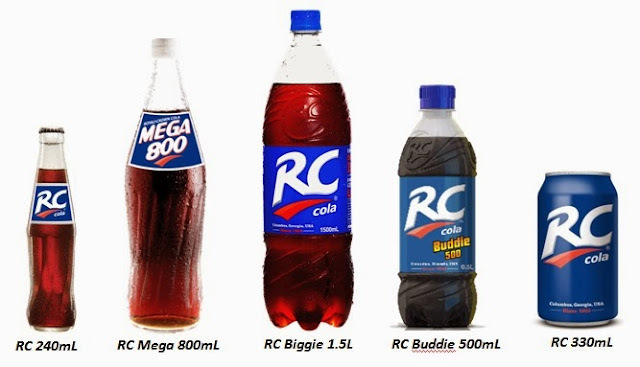 The RC Cola brand is one with a truly unique heritage. Originally launched in 1905 by pharmacist Claud A. Hatcher of Columbus, Georgia, USA. Consumers first knew it as “Chero-Cola.”In 1934, Chero-Cola was reformulated and re-released as Royal Crown (RC), a brand that is even more admired today.